If you know Morocco, then you will likely be familiar with the ritual of the hammam. If you are not familiar with the word, then in essence it is a combined sauna and bath house. Hammam is an arabic word that roughly translates to “public bath place”. 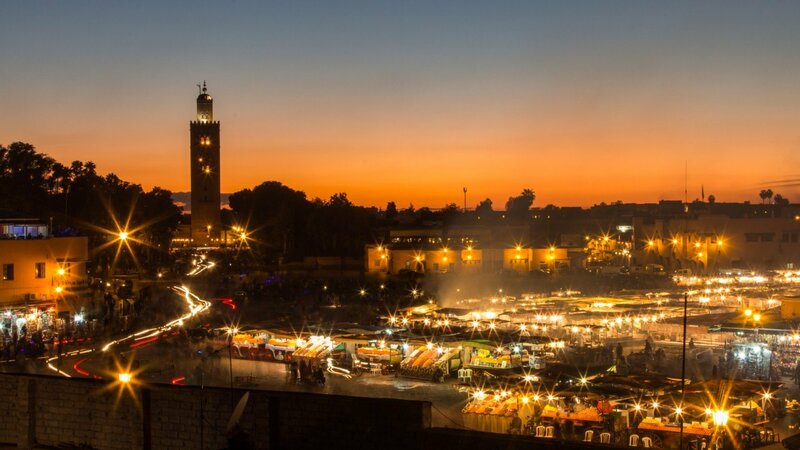 In Marrakech, you are spoiled for choice in terms of the ways you can experience this form of self-care. 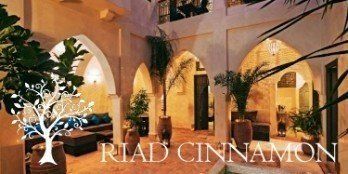 Not only are there several luxurious spas offering this treatment (such as the spa at the Riad Star); but nestled into the winding walks which make up the ancient medina, you will also find a collection of local hammams which are still used by men and women on a weekly or daily basis. 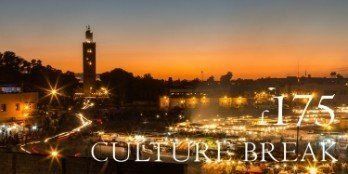 It is an experience you should treat yourself to when visiting Marrakech. The process of the hammam is not dissimilar to that of a Turkish Bath. In fact the practice of this particular type of public bathing is generally associated with the Ottomon Empire, but is more widely practiced in the Islamic faith and countries where this faith is prevalent. In Islam, it is considered compulsory to be physically clean before beginning a dialogue with God in the method of prayer. Where feasible, Mosques will always provide a place to wash the face, hands and feet; but for those who feel compelled to undertake a more thorough cleansing, a hammam will usually be located close by. In Islam, washing the body under running water is preferred, as opposed to the way we bathe in more Western societies (by submerging ourselves in water). The typical Moroccan hammam experience, will involve pouring plenty of warm water over your entire body inside a heated room, which rinses away any dust or dirt but also creates steam to soften the skin. Following this, the skin will be massaged with black soap which is a natural soap made from black olives and sometimes perfumes of jasmine, orange blossom or rose. The soap encourages dead skin to loosen, which is then gently removed by a method of scrubbing with a rough glove (known in local dialect as a “kees”). The dead skin is rinsed away with slightly warmer water, before the body is washed again with a bubbly and perfumed soap. Often and if you like, the hair is also washed with shampoo. In the local hammam, you will witness many different regimes as each person has his or her own preferences when it comes to washing. Without a doubt, the outcome of this experience is that the participant feels cleaner than ever before, and it is required that you take a restful period with food & water afterwards to rehydrate. The local Moroccan hammams are gender segregated. Each neighbourhood has a man’s hammam & a woman’s hammam; and although the two might be found side by side, the men and women must never mix in this intimate and sacred space. There is an exception to this rule only in the instance that a young boy uses the hammam with his mother. There is no fixed age that is the cut off point when a young boy must move to the man’s hammam, but ultimately the decision is always made by the woman who is in charge of running that particular hammam. The gender segregation of the spaces creates a multi-purpose function, particularly for the women’s hammam. You will notice in Morocco that privacy is hugely valued, and what goes on inside the home is totally separate to life on the streets. Women, when walking in public are most often covered from head to toe; the conversations they have on the street might be casual, friendly uttering between neighbours, but it is highly unlikely that they will delve into personal matters in a public place. Inside the home, women run the show; often known as “the queen of the house”. This role is taken very seriously, and a woman will not rest until home orders are in place, so it is also rare to see Moroccan women sitting out in cafe’s drinking coffee with their friends. 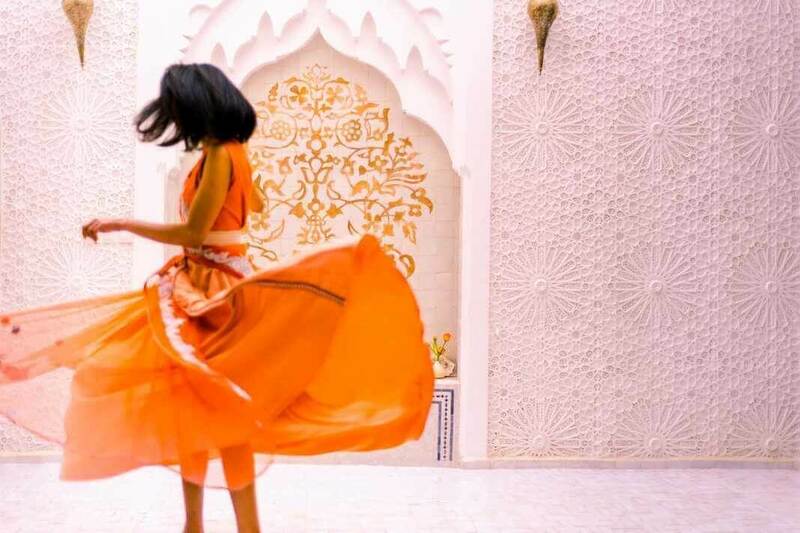 As time moves on, and Morocco is influenced by visitors from around the world, as well as Western media – there are younger generations of women who are dissatisfied with this lifestyle and those young women are inspiring a change in the gender roles of men and women in Moroccan culture. In the hammam, women can bare all in a physical and emotional sense. These windowless bath houses offer a sanctuary where women can unwind, cleanse their bodies and minds from the stresses of the week. This is a very important social space for women, where they are completely separate from men, and can share secrets with their confidants. As there is a local hammam in every neighbourhood, in fact almost in each derb (street); families will attend the same one for most of their lives. The buildings consist of an entrance, where you can change, leave your dry belongings and drink a glass of water. Following on from this room are three simple chambers, the first you walk into is the coolest of the three rooms and it seems the least used area (apart from perhaps by women with young babies), but is a place to cool down gradually after the use of the hot rooms. The second room is warmer & as you make your way through each room the temperature rises by several degrees. It is typical that a person begins their hammam in the hottest room, sitting for perhaps 10 or 15 minutes before moving to a room with a slightly cooler and more comfortable climate. 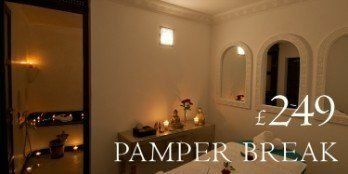 The hot room is used for oiling and scrubbing the skin, whilst the warm room is for soaping and washing after this treatment. It is common to find that each room has a large domed ceiling, which is covered in small clear or coloured glass windows. These small openings for natural light create a beautiful soft lighting and ambience, eradicating the requirement of artificial light as well as maintaining a total sense privacy from the outside world. From the street it may be difficult to identify a local hammam, but from a rooftop terrace the domed roof is always a quick giveaway. If you choose to have the local hammam experience, then you might wish to ask your hosts to recommend somewhere close by. As a tourist, you can expect to be charged up to 50 moroccan dirhams (5 euros) to use the space. Included in this price will be a full body scrub by a woman working in the hammam, and you can stay in the space for as long as you like. There are several items which you should take yourself to the local (beldi) hammam. A pot of black olive soap (savon noir) can be purchased from most spice merchants; and although you can buy just a small amount in a plastic bag, it is perhaps advantageous to buy a resealable pot which has come from one of the co-operatives outside of Marrakech. This way you can take your black soap away with you after the hammam and use it again in the future. You should also bring waterproof footwear such as a pair of flip-flops. In Morocco it is considered unhygienic and bad for your health to walk barefoot in the home or the hammam. In a practical sense, the flip-flops will stop you from slipping over on the wet floors. If you didn’t bring flip-flops with you on your vacation, they are available to purchase from street vendors for as little as 20 moroccan dirhams (2 euros). You should also bring your own kis (pronounced kees), which is a rough scrubbing mitt. These are usually available to buy for a few cents in the spice market or local convenience stores, and some hammams will have them available to purchase. It is best to have your own and not to share, for hygiene reasons. These are reusable, so you can take them home with you if you enjoy the feeling of intensive exfoliation! A small plastic mat or towel to sit on is essential. You can also purchase these plastic mats in the medina, or a yoga mat will suffice if you are travelling with one! Finally you should bring your own soap and perfume, whatever your personal preference is. You can bring what you are travelling with, or a small amount of what is provided in your accommodation. It is advisable that you bring your own bottle of water too, as you will feel quite dehydrated by the end of your treatment. If you are hoping for a more regal experience, then you might wish to try a spa hammam. 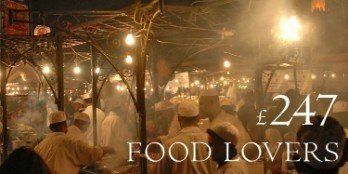 These are readily available in Marrakech at various levels of luxury! As a tourist, this is a much more care-free way to enjoy the wonders of this tradition because everything is prepared and laid out into a wonderful, pampering package. All you need is yourself, and an hour or two of free time. There are various packages available and many of those will also include a relaxing massage to follow your wash and exfoliation. In most cases you will also be served a cup of tea and a sweet treat following your treatment too. This is a guaranteed delight, leaving you with a feeling of complete bliss. 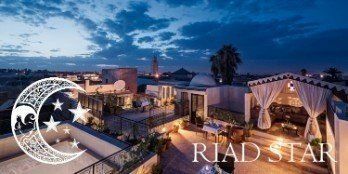 If you are planning a trip to Marrakech, you can find out about the spa treatments available at Marrakech Riad’s, Riad Star. An abundance of carefully designed packages are available to suit your personal requirements and preferences. Our hammam in ambient and cosy, fully stocked with a variety of locally sourced, naturally perfumed soaps and oils by ‘Les Sens de Marrakech’ which will leave your skin feeling brand new!